Five new trends for 2015, from after-dinner drinks to Middle Eastern cuisine. First New York City’s Mile End Deli debuted Middle Eastern–style dishes. 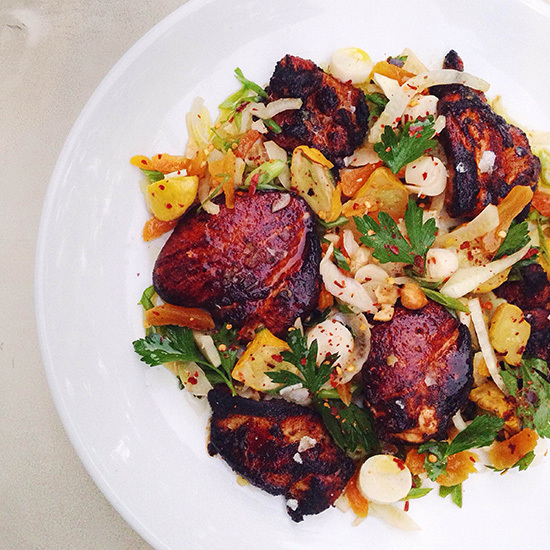 Then Israeli food genius Michael Solomonov opened a hummusiya in Philadelphia. Next, chef Sara Kramer will open a vegetable-centric falafel shop in Los Angeles’s Grand Central Market. Chefs are turning masa into the freshest tortillas at new Mexican restaurants like Empellón al Pastor in New York City; Minero in Charleston, South Carolina; and Cantina Leña in Seattle. We’ve spotted excellent updates on the Grasshopper at Pépé Le Moko in Portland, Oregon, Good Times at Davey Wayne’s in Los Angeles and Bar Sardine in New York City. Nordic pioneer René Redzepi will launch a Noma pop-up at Tokyo’s Mandarin Oriental in early January; both Dominique Ansel and San Francisco’s Tartine Bakery have Tokyo locations in the works. This isn't exactly a trend, but everyone will be talking about it. Running May through October, this World’s Fair will focus on the theme Feeding the Planet, Energy for Life. Superstar chefs like Massimo Bottura and Alain Ducasse will represent 144 countries.